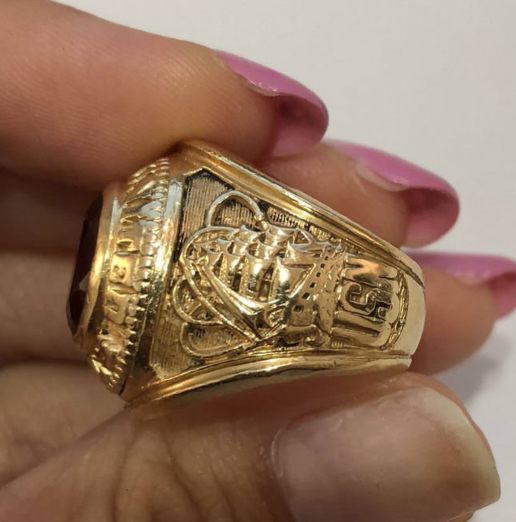 Topic: Any info about this vintage gold USNAVY class ring? I've been looking online but having a hard time finding one with the ship on the side and no eagle. The other side has an Anchor and says "Tradition Valor Victory". It's also solid gold. No inscriptions inside except 14K. Can you post a picture of the other side and of the top/stone as well?